In the meantime I’m enjoying using up lots of fresh rhubarb and settling into the summer-ish weather that has finally come our way. My kids have been swimming in the river and the brook, they’re wearing shorts to school and I have stocked up on sunscreen. But we haven’t pulled the barbecue out yet. I love the idea of barbecuing but I lack talent and know-how. There is also the fear factor. 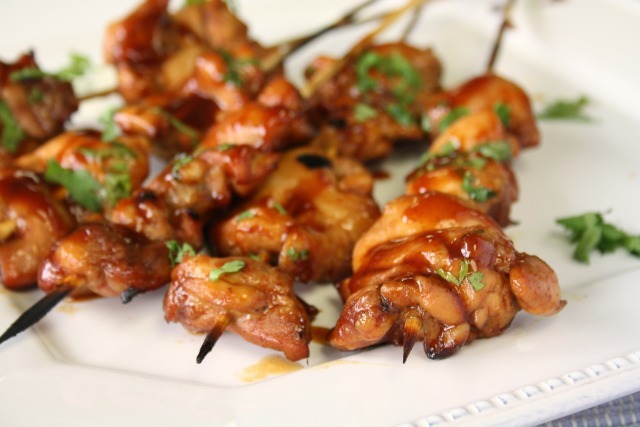 May be it was one too many half-cooked, half burned chicken legs at community barbecues while I was growing up. Although more than likely my aversion is related to the jury-rigged gas barbecues I grew up with. Why is it the handy starter button always conked out? We’d end up poking a lit match through the little hole in the side of the BBQ, and hope for the best. There are videos on YouTube of people who do things like that. As a result, I do a lot of “oven” barbecuing. Works for me. Now let me tell you how great rhubarb is in a BBQ sauce. The sour, puckering flavour of rhubarb is a perfect foil for the tangy sweet of molasses and the cooked rhubarb gives the sauce lovely texture. This recipe would work with frozen rhubarb too. In a small saucepan simmer the rhubarb with the water until the rhubarb is very soft. In a medium pot sauté the onions in the oil until soft but not brown. Add the garlic and cook another minute. Add the rhubarb mixture along with the remaining ingredients and bring to a simmer; cook for 10-15 minutes, until the mixture thickens. If you’re in search of family-friendly food that’s easy to prepare, healthy and tastes good, then sign up to receive blog posts by email. The sign-up form is on the top right hand side of this page. We’d love to send you our monthly newsletter too. 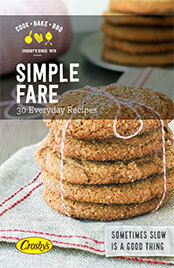 Our Making Life Delicious newsletter includes cooking tips, menu ideas and featured recipes. Here’s the link to our monthly email sign-up form. 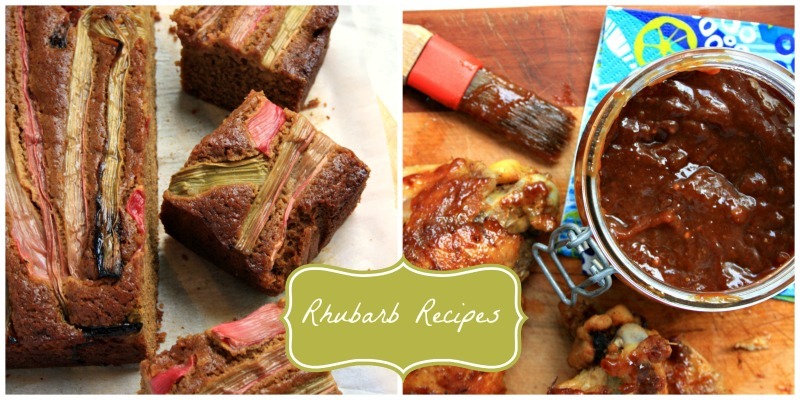 I am so loving the rhubarb recipes, thank you!!!! Hi Delores, I’m always on the lookout for more rhubarb recipes! Reminds me I promised you I would share mine with you, too. The photos are deadly. Make them bigger! Did you get my e-mail Thursday am. Many ended up in spam… just coasting through to read The Canadian Food Experience Project posts – expect yours will be up later, but see this was just posted today? Hi Lynn, The rhubarb BBQ sauce was a great discovery.  Something about molasses and the BBQ, a perfect pairing. How long will this sauce keep in the fridge?? Can it be frozen too?? 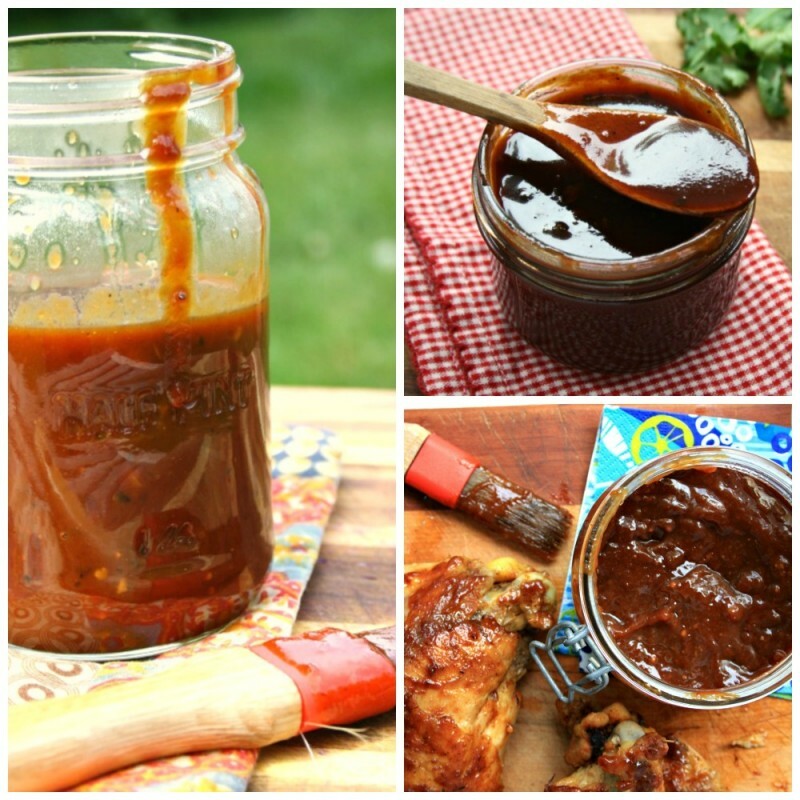 Loved this sauce, even better than our apple butter BBQ sauce. Will make it again! Do you peel the stringy strips from the rhubarb before using it? Hi Sarah, Because I roast the rhubarb first I fond that it isn’t really stringy and the cake cuts easily. Hi. Looking so forward to trying this recipe. 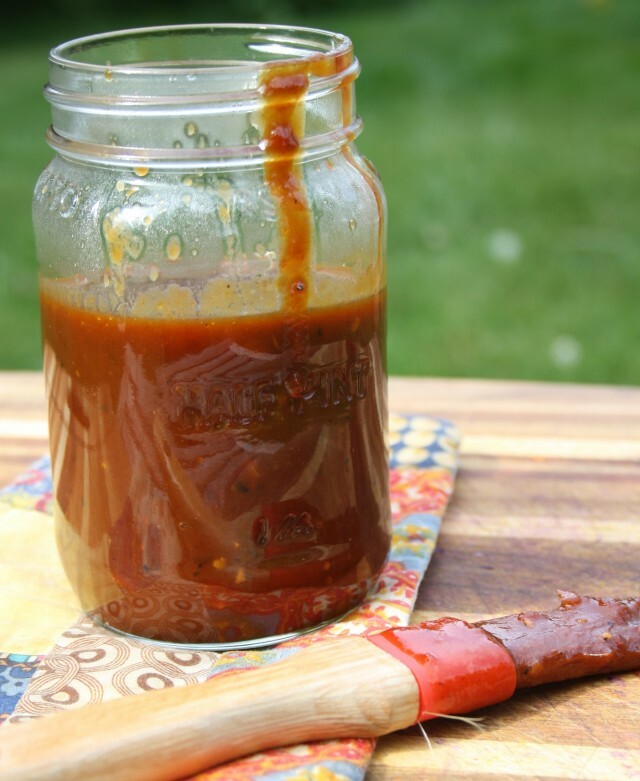 I’ve been desperate to find a bbq sauce recipe that isn’t tomato based; my spouse can’t eat anything from the nightshade family, and that’s taken a serious bite out of our bbq enjoyment. One extra question, though. Is this too sweet or too “rhubarb” to use as a tomato substitute for something like, say chili? Wonder if it’s worth trying? Hi Dawn, This recipe is delicious but it does have ketchup in it. It’s worth playing around with the recipe, may be try replacing the ketchup with some sort of fruit jam. Good luck.